Follow the adventures of our mascots Snappy and Squirt when you join the free Get Hooked... 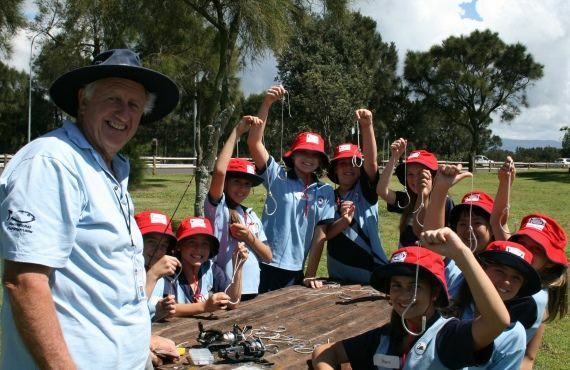 It's Fun to Fish educational program designed for primary school stages 2 and 3 students in NSW. 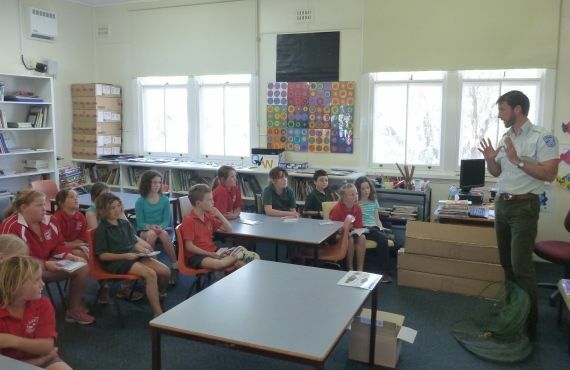 allows all NSW primary schools equitable access to the program. Get Hooked… it's Fun to Fish is made up of six teaching modules which form a Junior Fishing Code and are derived from the National Code principles. 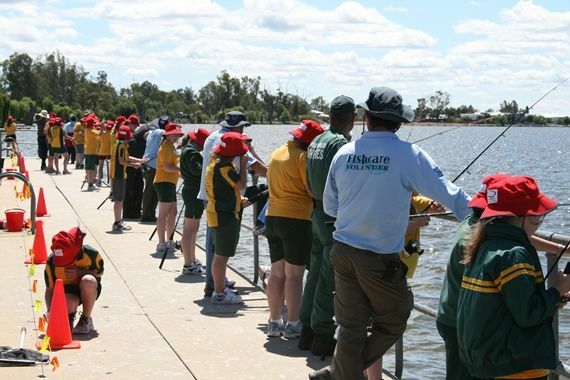 The Junior Fishing Codes have been aligned to the Australian Curriculum and meet syllabus outcomes across all Key Learning Areas. Code 1: 'Take only what you need' - The importance of the food chain and how taking too many of one species of fish may affect the entire chain, so only take enough for your own. Code 2: 'Fish with friends' - Safety near waterways, awareness of safe fishing conditions and also the importance of always having a responsible fishing friend to go fishing with you. Code 3: 'You're the solution to water pollution' - How to identify and reduce the impact their actions may have on waterways, in particular the impact litter can have on aquatic species. Code 4: 'Throw the little ones back' - Students investigate the rules and regulations that relate to the size of fish you are allowed to catch and why we need to keep certain species and sizes of fish for the future. 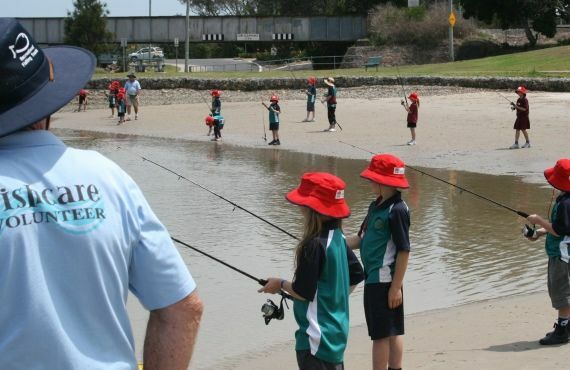 Code 5: 'Don't leave your tackle behind' - Students develop an understanding of the ways they can reduce the risk to aquatic species by ensuring they are responsible and careful fishers with a respect to the environment they are fishing in. Code 6: 'Quality catchments equal quality fish' - Students investigate the complex nature of a catchment and develop an understanding of the impacts of human activity in one waterway and how it can impact the entire catchment. 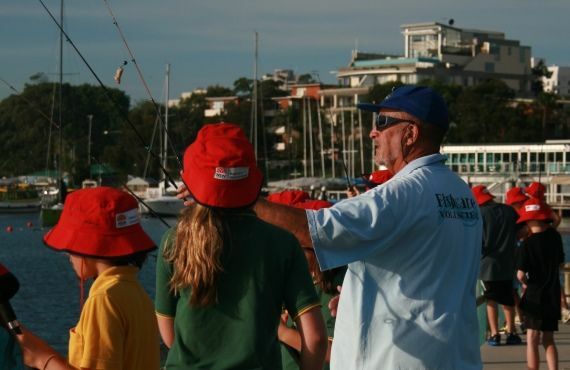 If you are a teacher and you want to register your school for Get Hooked… it's Fun to Fish schools program, drop us a line by sending an email to gethooked.fisheries@dpi.nsw.gov.au. What do you receive once you register for Get Hooked? A fun resource kit – a box jam packed with almost everything you will need to run the activities in the Teachers Manual. An interactive DVD – take your students on a fishing journey with keen junior fishers and apply the knowledge learned from each code. 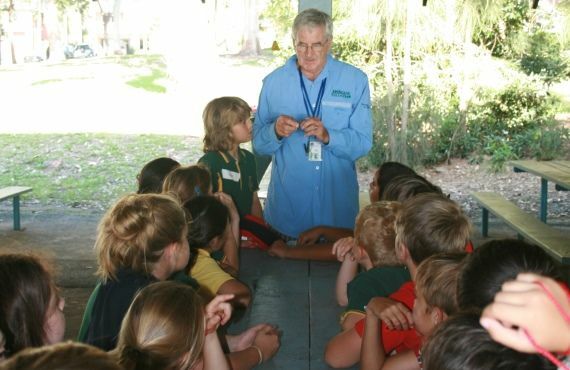 Enthusiastic accredited volunteers – trained Fishcare volunteers can come into your classroom and help with any Get Hooked… it's Fun to Fish activity. 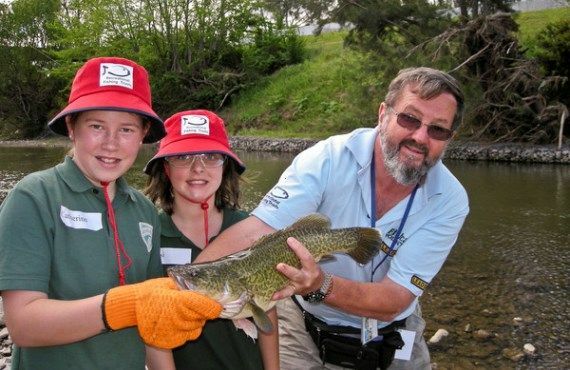 Get Hooked Fishing Workshop – registered schools are invited to attend a free practical fishing workshop in Term 4. Spaces are limited. 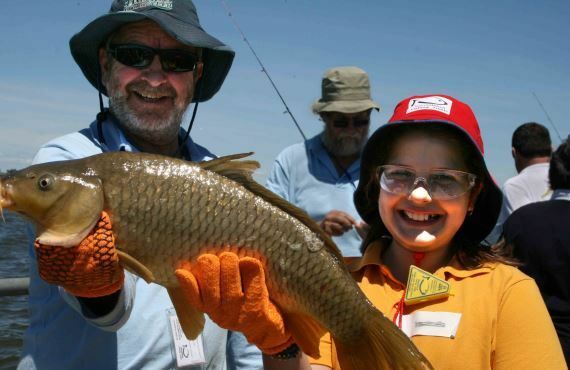 "… it is the best fishing program … and the children just loved it. We are very keen to participate again next year and would be more than happy to recommend the program to other schools." "I just wanted to say a big THANK YOU for yesterday. The kids all had a great time. They spent all afternoon talking about their fishing adventure and gloating about their goodies. The unit of work really complemented my sustainability unit that we did last term. All activities were well timed and it ran like clockwork. By far the best organised excursion I have done. Regards." "The enthusiasm displayed by all members of your team and the volunteers ensured high levels of engagement for all students. The attention given to the safety of students at all times was outstanding. Again many thanks." "Excellent resource. A very worthwhile program greatly enjoyed by students. Thanks."